The role of surgical ventricular restoration (SVR) has been clearly established as an option for treatment of advanced heart failure due to ischemic cardiomyopathy with large aneurysms. Its role is limited in patients with diffusely dilated akinetic ventricles (dilated cardiomyopathy), although Suma et al. 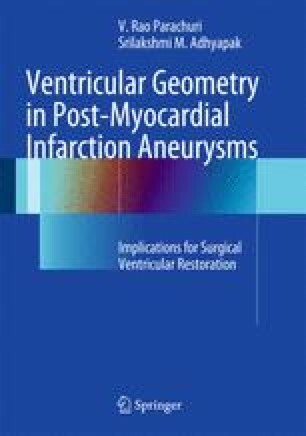 have surgically restored large akinetic ventricles using long ellipsoid intraventricular patches. The technique of SVR has been successful only in those patients with large areas of akinesis or dyskinesis, that is, areas of dyssynergy which measure >20% of the ventricular surface area. The existence of viable contractile myocardium is an absolute must for the success of SVR.